The Caledonian Canal in Fort Augustus. Plans have been revealed for a “world class” new visitor centre for the Caledonian Canal. The facility will be be built in Fort Augustus – and work could start before the end of year depending on funding. The project is being developed by Scottish Canals – which operates the historic waterway which runs through Fort Augustus. Thousands of tourists flock to the picturesque village every year to explore the canal and Loch Ness. The attraction will be housed in a former convenience store in the centre of the village near the canal. Scottish Canals has now offered a contract worth up to £650,00 to refurbish the unit. Katie Hughes, director of Scottish Canals, said: “As part of our tourism and destination development strategy, Scottish Canals is planning to create a world-class visitor and destination hub at Fort Augustus, which is part of the coast to coast route of the Caledonian Canal through the Great Glen. Fort Augustus sits at the southern end of the world famous loch. The Caledonian Canal enters the loch after descending through a series of locks in the centre of Fort Augustus. 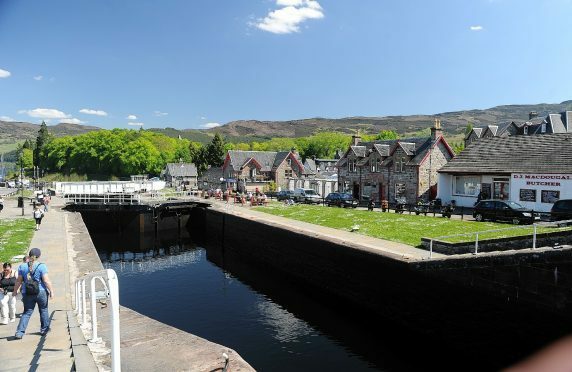 The town is used as a base by tourists exploring the area – and Scottish Canals are also planning to provide beds on site as part of the visitor centre project. Ms Hughes added: ” “Quality overnight accommodation will also be created on the site, increasing the overall bed capacity of Fort Augustus and a centre for local outdoor pursuits and activities around the Great Glen.